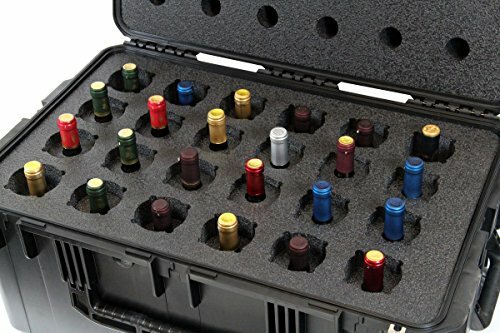 The CasePro 24-Bottle Wine Carrier with Wheels is perfect for the traveling wine professional. Great for reps and distributors traveling to events or restaurants. You can carry up to 24 bottles. 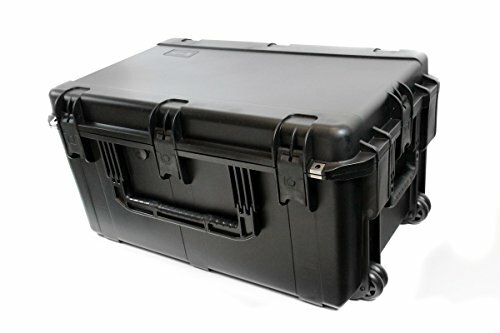 The thermally insulated closed cell foam keeps your wine at placement temperature up to 6-8 hours and at 30,000 feet. 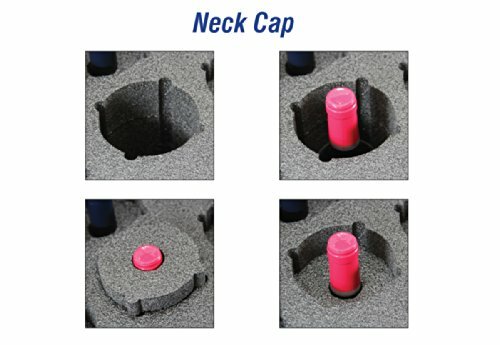 Features: 24 universal cavities sized 3-1/4" diameter, 12" tall No matter the shape of your bottle the bottle neck cap secures most 750ml wine bottles Specifications: Exterior Dimensions: L 31.52" x W 20.53" x H 15.75" Weight: 30 lbs (empty), 60 lbs (full) Min/Max Temperature: -40 / 160 F Molded of ultra-high strength polypropylene copolymer resin. 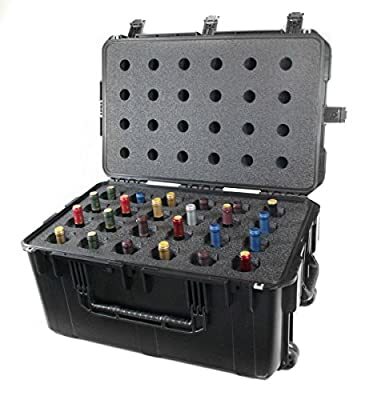 Provides maximum protection against impact, vibration and thermal shock Water and Airtight seals securely protect your wine from critical temperature environments Metal reinforced padlock provides security and protection against theft Ergonomically designed handles Telescoping handle for travel and packing convenience.